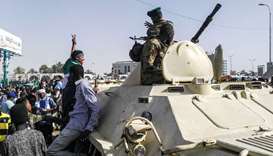 Support within Sudan for embattled President Omar al-Bashir seems be waning as some ranks in the army, a major pillar of his three decades in power, appear to be tilting towards the demonstrators, analysts say. 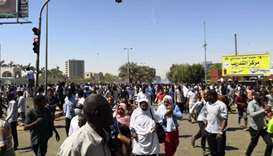 Sudan's army deployed around its Khartoum headquarters Monday as thousands of protesters urging the military to back calls for leader Omar al-Bashir's resignation defied tear gas to demonstrate for a third day, witnesses said. 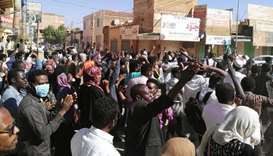 Crowds of protesters rallied Sunday in Sudan to show solidarity with the unemployed, witnesses said, amid an economic crisis that has fuelled months of demonstrations against President Omar al-Bashir's rule. 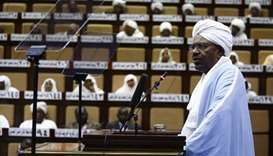 Sudan's main opposition party on Saturday dismissed President Omar al-Bashir's declaration of a state of emergency, saying protesters would keep up their campaign until his three-decade rule was ended. 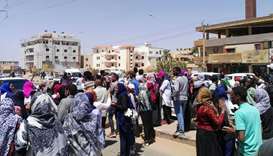 A Sudanese fruit seller died on Sunday after choking on tear gas fired at protesters in the market where he worked in Khartoum, his family members told Reuters. 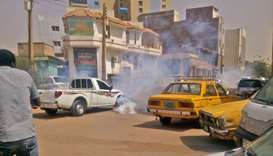 Riot police fired tear gas Sunday at protesters in Sudan's capital planning to march on the presidential palace, witnesses said, as backers of President Omar al-Bashir announced their own rally for next week. 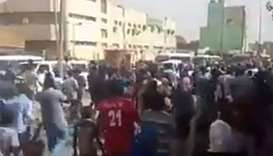 Sudanese security forces on Thursday fired tear gas to disperse protesters who were trying to deliver an anti-government petition to the local headquarters of President Omar al-Bashir's ruling party in Port Sudan, a witness said. 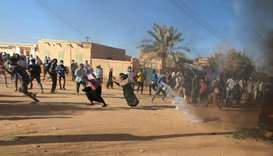 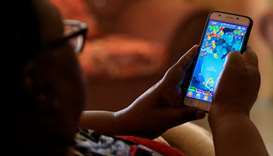 Sudanese authorities are blocking access to popular social media platforms used to organise and broadcast nationwide anti-government protests triggered by an economic crisis, internet users say.